You'll have to pardon Pipkin's recent lack of updates on the blog. When he can't hitch a ride on a bicycle or a motorcycle to get places, he will travel far by pure hopping power. He knew he was in for a lot of heat so he hopped north to Quechee for a quick dip in the water at the bottom of the gorge. 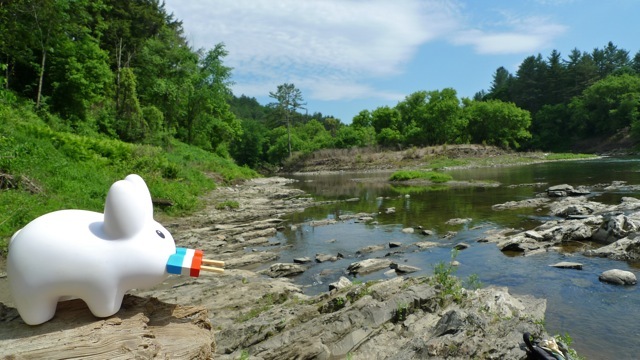 It's a short 1/3 mile hop down from the bridge (where you can get creamees and ice pops) to this quiet, sunny spot where you can sit on the rocks, dip in some of the little pools or get into some deep swift moving water. Pipkin himself prefers sunning on the rocks and occasionally dipping his paws in the cool water. He also likes to climb, so when he saw this huge fallen tree trunk, he tested his balance with a little walk, being sure to keep a lookout for birds of prey. 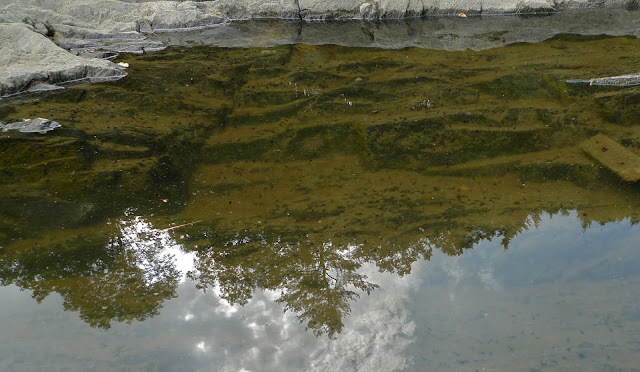 All those black dots are tadpoles! There's lots of small catfish, crayfish and tadpoles in the little pools at the bottom of the gorge. 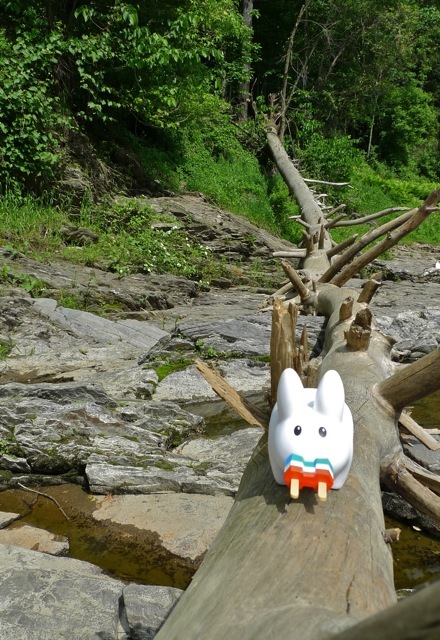 Pipkin hopes for the fish's sake that the dam releases some water and gets them out into the big water soon. 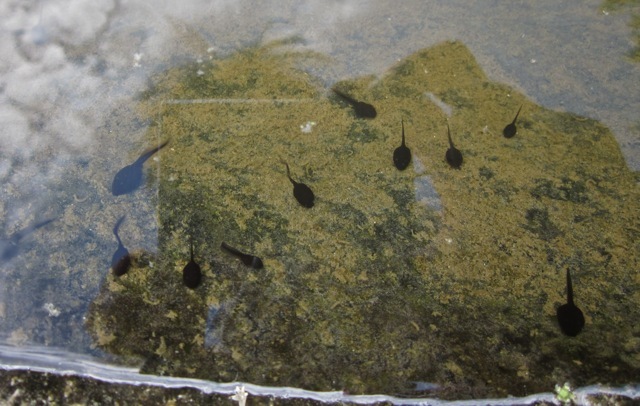 And hopefully all these tadpoles will grow up to be nice big happy frogs. Pipkin feels because both rabbits and frogs do a lot of hopping, that they share a special sort of bond. Don't you just like their fat and bunchy bodies?